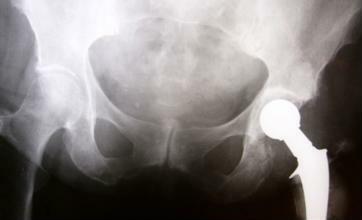 Researchers from Northwestern University discovered that patients who have a large number of comorbidities prior to total hip arthroplasty (THA) surgery are more likely to be readmitted later on. The findings were published in the Journal of Bone and Joint Surgery. Comorbidities are conditions that are chronic or last for a long time. In order for a patient to have comorbidities, they need to have more than one disease or condition at the same time, the Centers for Disease Control and Prevention noted. Total hip arthroplasties are a type of total joint replacement, where the hip joint is completely replaced, the American Academy of Orthopaedic Surgeons stated. The Agency for Healthcare Research and Quality reported that more than 285,000 hip replacement surgeries occur each year in the U.S. The study authors used the American College of Surgeons National Surgical Quality Improvement Program to locate patients who had undergone THA surgery. The scientists found 9,441 patients using the procedural coding for primary THAs. They then separated the patients based on whether they had been readmitted or not. Researchers compared several factors, including patient demographics, number of comorbidities, operative characteristics and the surgical outcome. The study data revealed that approximately 3.65 percent of patients were readmitted within 30 days of having THA surgery. Patients with comorbidities such as diabetes, hypertension, a history of cardiovascular problems, bleeding disorders and those who used steroids all had an increased risk of returning. People with a BMI higher than 40 also had a high risk of returning. Patients who had a higher preoperative serum albumin level had a lower risk of readmission. Serum albumin is a blood protein found in most mammals' livers. The protein assists in the distribution of body fluids between blood vessels and body tissues, the National Institutes of Health stated. Risk factors for readmission also included an infection at the incision site, a blood clot or sepsis, an inflammation of the whole body.